Is “Russiagate” the New Benghazi? 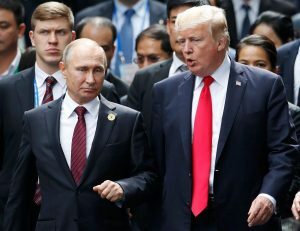 “The obsession with Russian propaganda isn’t just an entertaining way for the U.S. public to revive Cold War logics; in the end, it is a disaster for our democracy. One of the biggest flaws to propaganda hype is that it gives the left a pass from taking seriously the policy flaws in the Hillary Clinton campaign. ..
McClennen is professor of international affairs and comparative literature at the Pennsylvania State University. She is co-author of Is Satire Saving Our Nation? Mockery and American Politics and co-editor of The Routledge Companion to Literature and Human Rights.